In any culture, a cancelled wedding can be a great embarrassment (particularly to the bride), but when Nisha Sharma called off her wedding at the last minute, she not only made front-page headlines in her native India, but became a role model for young women in India and across the world. Shortly before the ceremony, her future husband's family suddenly demanded an illegal dowry payment of $25,000 from her father. An angry Sharma called the police, and the groom was later sentenced to a jail term. Sharma comes from a middle-class Hindu family. She was born in the early 1980s and grew up in Noida, a city near Delhi, which is India's capital. Her father, Dev Dutt, is the owner of a factory that makes car batteries. Sharma was studying computer science when her parents decided to seek a husband for her. In March of 2003 they placed a classified ad in a Delhi English-language newspaper. Such ads are common in India, where parents arrange marriages for their adult children. Many Indians believe their most important duty as parents is to find worthy spouses for their children, and the honor of the family is often at stake. Sharma and her parents interviewed the candidates who responded to the ad. They were impressed by Munish Dalal, a twenty-five-year-old computer engineer. All parties agreed to the marriage, and the Dalals initially said that no dowry was necessary. Sharma's father, however, gave the Dalals a gift of cash at the engagement party. The dowry is a centuries-old tradition in India, though it has been prohibited by law since the 1961 Dowry Prohibition Act. It persists in the form of lavish gifts given to the newlyweds and the groom's family by the bride's parents, and sometimes there is cash exchanged. Traditionally, a dowry was the price that the groom's family paid to the bride and her family. It was given because the woman would leave her parents' household and become an income-earner for her in-laws' household instead. The amount was considered compensation for this economic setback. "My message to all young girls is 'Don't give them a penny.'" Dowries persisted into the modern era with a reverse twist: college-educated men with professional jobs are now considered highly eligible spouses, and a woman's parents would offer household goods, including electronics and appliances, to sweeten the deal when they arranged the match. Such items are not called dowry payments, but rather gifts for the newlyweds to start their first home in style. When such gifts are given directly to the bridal couple, they are not considered illegal. Parents often save up for years to be able to afford the items, which can even include real estate and cars. An Indian sociologist, Ashis Nandy, told journalist Ian MacKinnon in the London Times that, although the dowry may seem out of place in a modern society like India's, it was "easy money." Nandy commented, "Once Indian families paid to win the bride. Now it's the other way round.... We are left with the belief that women are an economic burden." Nisha Sharma cancelled her own wedding just before it was set to take place, in May of 2003. She called the police, and her father filed a complaint against the groom and his parents for demanding a dowry. Under India's 1961 Dowry Prohibition Act, gifts or cash given to either the bride or groom by the other's family are illegal if they are made in connection with the marriage. This law was passed to help put an end to the rising number of deaths of young brides at the time. As a widower, the man was then free to marry once again and collect another dowry from another family. Dowries differ from the "bride-price," and are tied to India's caste system. The caste system placed everyone in a class. The Vaishyas and Shudra castes were obligated to perform only manual-labor jobs. The marriage of a son in such a caste meant that an additional person—his new wife—would be joining the household and bringing in more earnings. Therefore a "bride-price" was paid to the bride's family to compensate for the loss of her labor. In contrast, a dowry was common among the upper castes, the Brahmins and Kshatriyas. The dowries went by the name sthreedhan, or woman's share of her parents' wealth. Over the years, this became corrupted into a form of payment made directly to the groom or his family. Even though India emerged as a modern country with a growing number of educated, professional young people, the dowry endured. Much of the reason for this, critics of the practice have explained, was the high demand for consumer goods among India's growing middle class. Television commercials, for example, show parents giving consumer goods to their overjoyed daughters for their wedding. Such cash or gifts are given to help the newlyweds begin their life together comfortably. Such practices exist in many cultures. In North America wedding showers are held before the ceremony, where invited guests give appliances, dishes, and other household items to the bride and groom, chosen from a gift registry. In contemporary India, the amount of cash and gifts given is tied to the groom's profession. This comes from the idea that the man's family had spent money to educate him. The higher his professional status, the more eligible a marital prospect he became on the marriage market. In India, young men who work for the country's civil service command the highest price, followed by engineers and doctors. In India, if such gifts are given without being demanded or tied to the actual wedding vows, then they are not considered illegal. In Sharma's case, however, her fiancé's family asked for an additional $25,000 in cash just before the ceremony began. Munish Dalal and his mother faced up to a ten-year jail sentence and stiff fines for their greed. 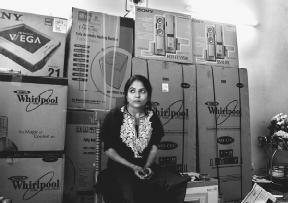 Nisha Sharma, at her home in India, sits in front of boxes of goods bought as her wedding gift. conditioners, and one car. The second set of goods was for Munish's older brother, who became head of the Dalal household after their father died. "I wanted Nisha to get on well with her in-laws," Dev Dutt told London Times journalist Lucy Ash. "I thought it would help if they started off with the same stuff." Vidya Dalal, Sharma's future mother-in-law, went so far as to specify the brands of appliances she wanted. The wedding ceremony was scheduled for a May weekend. Sharma arrived, dressed in the traditional red bridal sari. Her hands and feet were painted with henna, another bridal custom. The guest list was enormous: newspapers reported it as between 1,500 and 2,000 invitees. They waited for the ceremony to begin. Behind the scenes, however, Vidya Dalal asked Sharma's father for a $25,000 cash payment. Dev Dutt recalled in the Times interview, "When I said I didn't have that kind of money, Mrs. Dalal asked, 'Well, what have you brought us here for?' and slapped me hard across the face." Their argument erupted into a loud fight, and Mrs. Dalal's sister-in-law spit in Dev Dutt's face, according to the police report. Sharma learned of the trouble on her way to the ceremony, thanks to a phone call from her brother. When she arrived and found the two families arguing, she was outraged. People quoted her as saying, "I thought, 'Has he come to marry me or for the money?'" Knowing the Dalals were breaking the law, she then took the daring step of calling the local police. When they arrived, the police were stunned at what a turn the happy day had taken. They tried to persuade Dev Dutt to let the marriage take place. But Sharma was adamant. "I've never spoken to Dad like that," she told Ash. "Why should anyone else? If they treated him so badly, they probably would have done the same to me, or worse." Sharma had reason to worry. In India, deaths of young married women were commonplace, and even increasing in number. Some new wives were badly burned in suspicious "kitchen fires." In 2001 alone, there were seven thousand deaths of young women that were linked to their husbands or to members of his family. Experts on domestic violence have claimed that the actual number may even be higher. Such homicides have been tied to resentment over a dowry that is considered too stingy. In other cases, the husband's family demands more goods after the wedding. One women's rights group in India has asserted that three to five women are brought to Indian hospitals every day with suspicious burns. In Delhi, where Sharma lived, there were 130 deaths of young married women in 2002. The Dalals and their guests fled the wedding ceremony. Sharma's side, however, stayed on through the night to show their support for Sharma and her family. Dev Dutt went to the local police station and made a formal complaint. News organizations learned of this, and Sharma's cancelled wedding made headlines across India the next day. Thanks to the media coverage, the police went to arrest Munish in the early morning hours. His mother was later arrested as well. Sharma was praised as a hero, an icon, and as the symbol for a new generation of modern Indian women. Women's-rights organizations were quick to defend her actions, and newspapers and other media outlets commended her courage. "It Takes Guts to Send Your Groom Packing," noted one Times of India headline, according to a New York Times report. The cancellation of a wedding was no minor incident, according to Sanjeev Srivastava, the Delhi correspondent for the BBC News. "Especially when the circumstances are as dramatic as the bridegroom's party being sent away," reported Srivastava. "It is always the bride's family which faces ridicule and is looked down upon." There were no regrets about her decision, Sharma asserted in the numerous interviews she gave to the press in the days afterward. "I'm not remorseful at all," Sharma she told MacKinnon. "It was the right decision. As Munish was leaving the wedding garden he told people he didn't even like me. He was only marrying me for the money and would have thrown me off a balcony in three or four weeks." She was also grateful to her father for taking her side in the matter. Dev Dutt said that he had done so out of concern for her safety. "People say now it will be very difficult to marry my daughter again," Dev Dutt told New York Times writer James Brooke. "But I thought, if trouble is starting today, tomorrow may be worse. It could be killing. I thought, let the money go." Dalal and his mother were also interviewed. They claimed that Sharma had had an affair with another man, and hinted that she showed symptoms of venereal disease. But Sharma's family said that the Dalals had lied on many occasions. Munish had said he was a computer engineer, when he was only a computer instructor—a job with far less status. Sharma' family also claimed that Dalal's mother had said she was the vice principal of a school, when in reality she was only a physical education instructor. Sharma's cancelled wedding remained one of the top stories in India for days. Several more women followed her example that month, calling off weddings at the last minute and reporting the grooms to the police after financial demands on the women's families had been made. Newspaper stories also noted that Sharma had immediately received marriage proposals from other young men because of her new celebrity status. She was offered a part in a film, and there was even talk of a comic book series that would feature her as an action hero. Six months later she married a computer hardware engineer. There was no elaborate wedding with hundreds of guests this time, just a few dozen invitees. There was also no dowry. 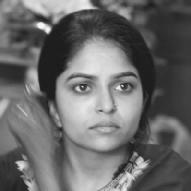 Sharma hoped that her actions would inspire other young women. "I can only call on every Indian girl to refuse to give dowry," Asia Africa Intelligence Wire quoted her as saying. "My experience has strengthened my belief." Ash, Lucy. " Killing in the Name of Dowry." Times (London, England) (July 21, 2003): p. 10. "The Bride Says No: Nisha Sharma Stops Her Wedding—and Becomes a Symbol—over a $25,000 Dowry." People (June 23, 2003): p. 65. Brooke, James. "World Briefing Asia: India: Anti-Dowry Woman Weds." New York Times (November 20, 2003): p. A8. Brooke, James. "Dowry Too High. Lose Bride and Go to Jail." New York Times (May 17, 2003). Jana, Reena. "Arranged Marriages, Minus the Parents." New York Times (August 17, 2000). Kumar, Lalit. " Nisha Sharma Takes Pheras Happily." Asia Africa Intelligence Wire (November 21, 2003). MacKinnon, Ian. "Dowry Bride's Last-Minute Walkout Delights India." Times (London, England) (May 16, 2003): p. 19. "Mumbai needs a Nisha Sharma." Asia Africa Intelligence Wire (May 29, 2003). Amanpour, Christiane. "For Love of Money." CBSNews.com. http://www.cbsnews.com/stories/2003/10/03/60minutes/main576466.shtml (accessed on June 11, 2004). Kak, Smitri. "Common Girl with Uncommon Grit." Tribune Online Edition. http://www.tribuneindia.com/2003/20030525/herworld.htm (accessed on date June 27, 2004). Srivastava, Sanjeev. "Delhi Girls Rebel over Dowries." BBC News. http://news.bbc.co.uk/2/hi/south_asia/3040681.stm (accessed on June 11, 2004).